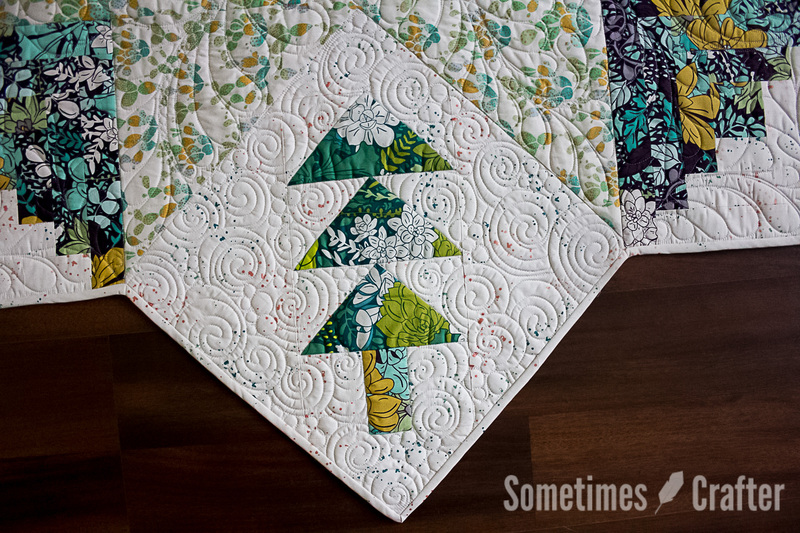 This modern take on the traditional Christmas Tree Skirt will have all of your family and friends oohing and ahhing over your decked out tree. 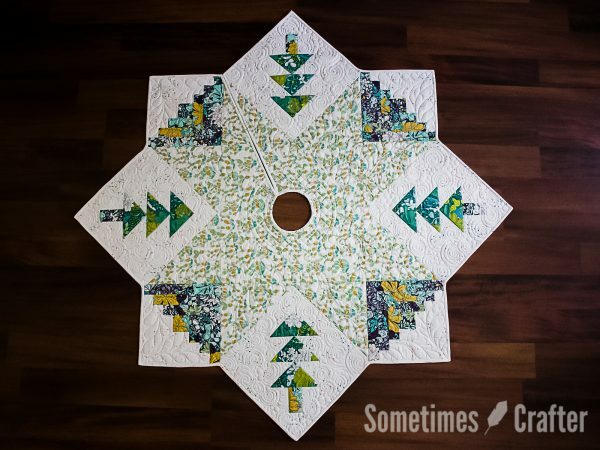 Easily constructed blocks, with detailed instructions and fabric requirements, allow you to quickly piece this tree skirt together just in time for this years holidays. Instructions walk you through block and top assembly from start to finish, with detailed diagrams for every step, and basic instruction for making your bias binding. Pattern includes several helpful quilting tips and suggestions, and coloring pages for you to plan your tree skirts color scheme, as well as a place to practice your quilting doodles. Finished tree skirt measures 53″ x 53″. 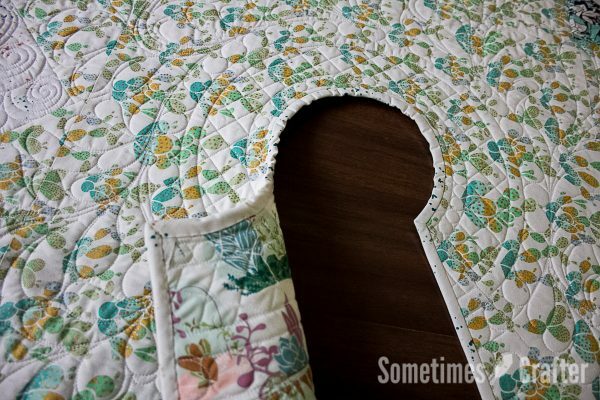 The pattern is 14 pages and requires no templates or special tools beyond basic quilting supplies (rotary cutter, sewing machine, pins, etc). 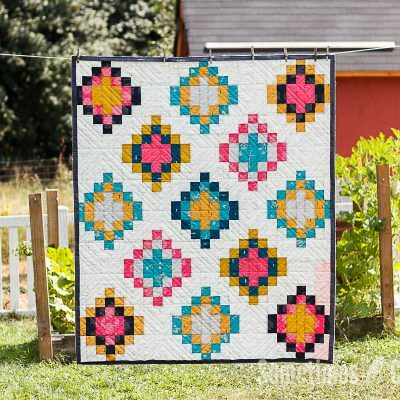 This pattern is considered “Advanced Beginner” meaning the sewer has at least some knowledge of basic quilt making. 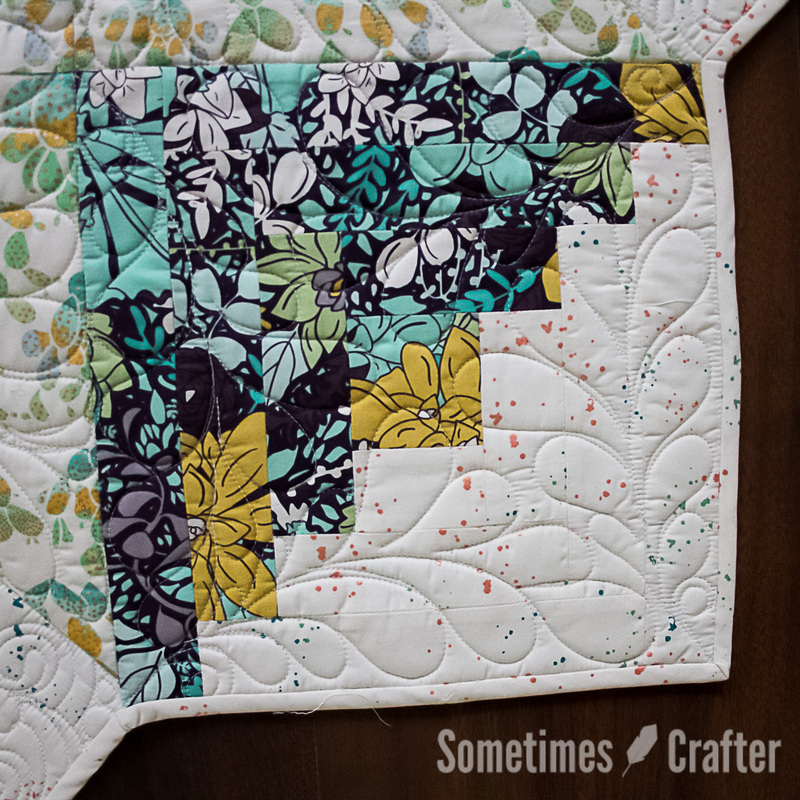 Fabric Requirements: Fabric amounts given do not give much room for error. 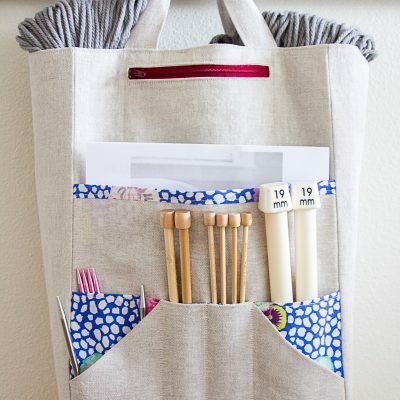 In some cases very little fabric is leftover, so plan accordingly when choosing your fabric. 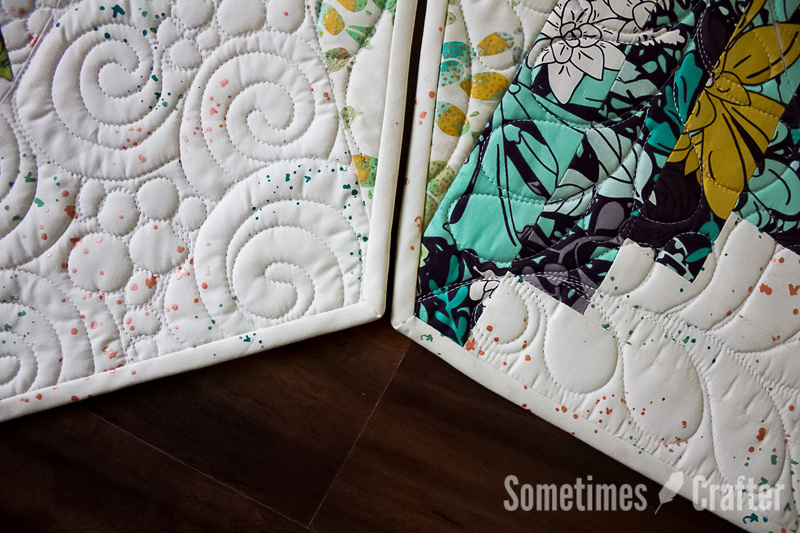 Allow for an additional 1/4 yard when purchasing your fabrics if so desired. 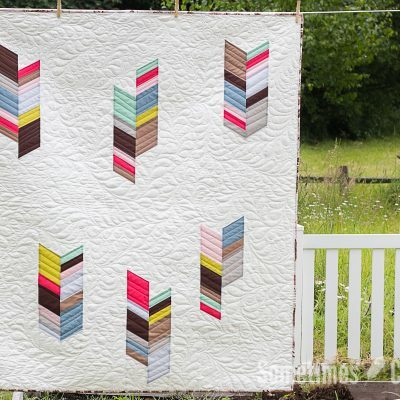 The following fabric chart details how much yardage you need. 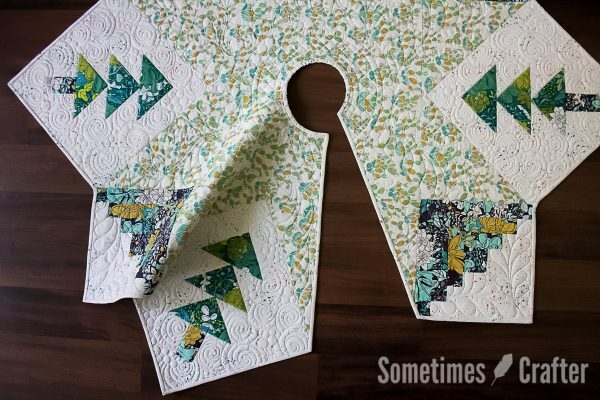 The quilt pattern uses the same print for the log cabins and tree trunks. 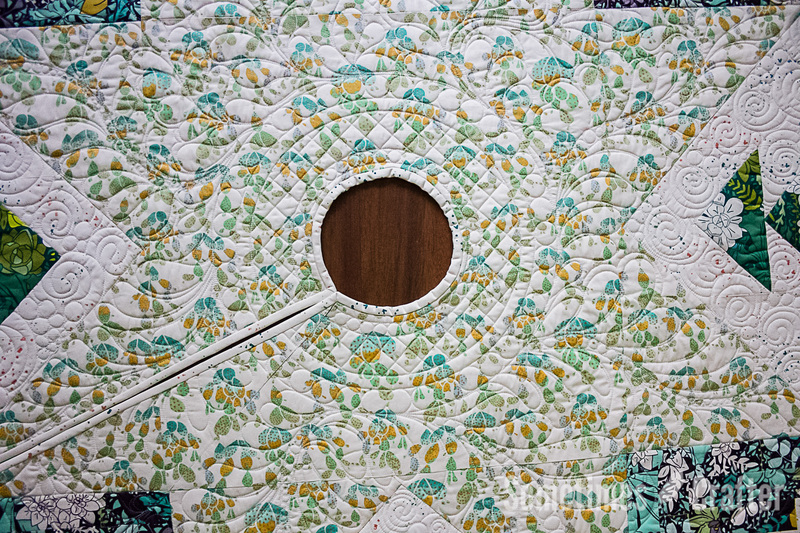 If you would like to use a different fabric for the tree trunks, a fat quarter of your desired fabric will be more than adequate. 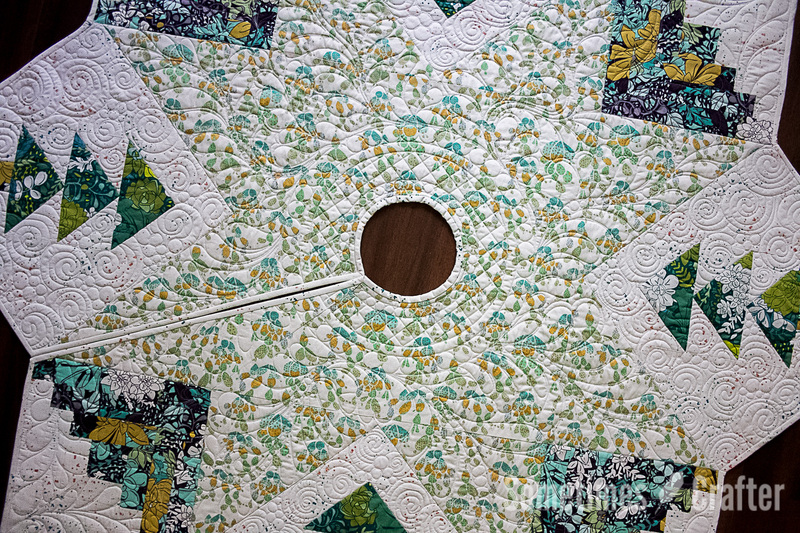 The “Large Star Print” fabric is the center of your tree skirt. If you didn’t notice, it makes a star! The sample quilt was made with the Succulence fabric collection by Bonnie Christine for Art Gallery Fabrics. 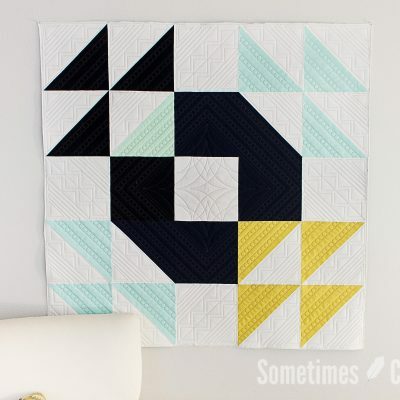 Items made from my patterns may be sold on a small, home-based production scale. Please do not distribute without permission. 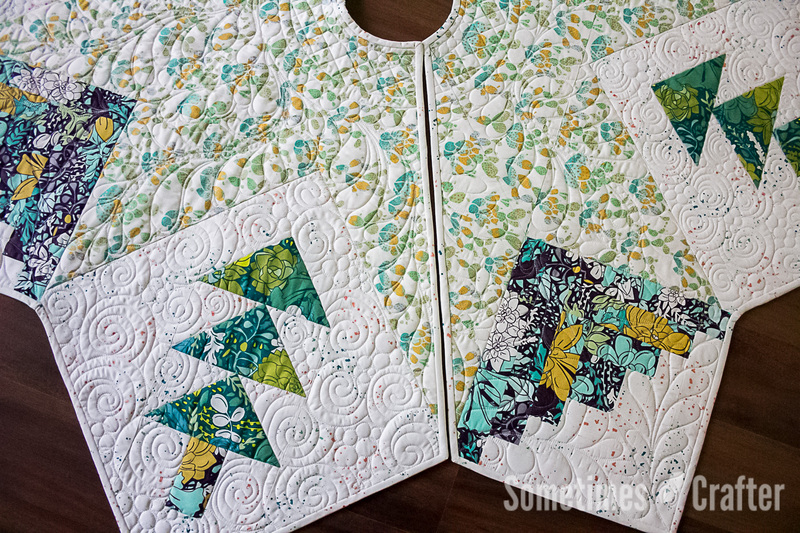 Read more about the top and it’s quilting on this blog post. **There is a small error in the Cutting Directions for the Large Star Print on page 2 of the PDF. It should read: Cut your yardage in half along the width so that your two pieces measure 22.5″ x 22″.